Creating unforgettable memories with nature-inspired fragrances. Chesapeake Bay Candle® was founded in early 1994 by Mei Xu and David Wang. 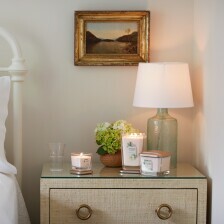 The then-husband-and-wife team started out by hand-making candles in the basement of their home in Annapolis, Maryland. Mesmerized and inspired by the beauty of the Chesapeake Bay shoreline near their home, they decided to pay tribute and named their brand Chesapeake Bay Candle. From day one, Chesapeake Bay Candle has celebrated a natural way of living with the use of botanical inspired fragrances and clean, minimalist designs. 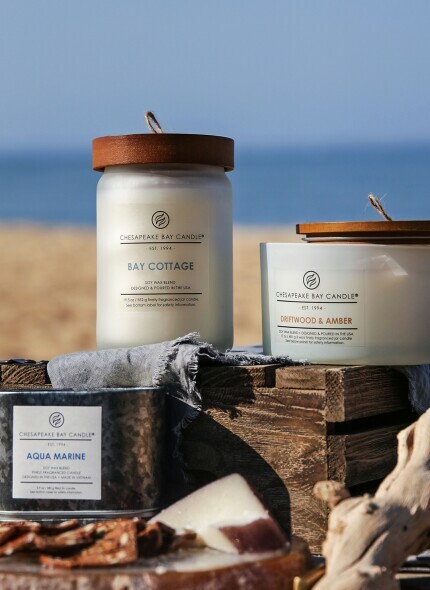 With the introduction of the Chesapeake Bay Mind and Body Collection in 2016, Chesapeake Bay Candle has evolved into a wellness lifestyle brand. An artfully curated line of home fragrances infused with all natural essential oils, Chesapeake Bay Mind & Body was created to allow you to rediscover your inner joy, peace and tranquility.